Ugly truths, but a beautiful angel fish! Our world is such a mixture – thank you for including the tranquility (or so it appears) of the fish. Yes, regarding the health of the planet, we are trying to do much too. More people need to wake up and realize the precarious situation we are in (before it is too late). Unfortunately, it may be too late at this time; innumerable species have already gone extinct due to pollution/habitat distruction. Angelfish are wonderful! I had a tank filled with them a few years back. As for the planet’s health, I find that it fits right in with our healthcare systems, as in a lack of prevention and true education about consequences of current and past behavior. Only time will tell how it all ends! Sabine, before i retired, when i was a teacher of the multiply handicapped, i had a large 125 gallon aquarium in our classroom. The students loved it! 🙂 A large number of the assistant-staff ended up getting aquariums for themselves. Aquariums teach you — extremely quickly — about how ecological systems need to be healthfully balanced (or they rapidly collapse). I liked the distinction between idealism and true caring. As for your fish — what a glorious creature. The colors are truly amazing, and its obvious awareness of the world around it is charming. Yes, Linda, people’s “stuck in a rut idealism” is often blind. It’s a shame we only take care of the planet one day a year for Earth Day – shame on us if we don’t respect nature better than that. 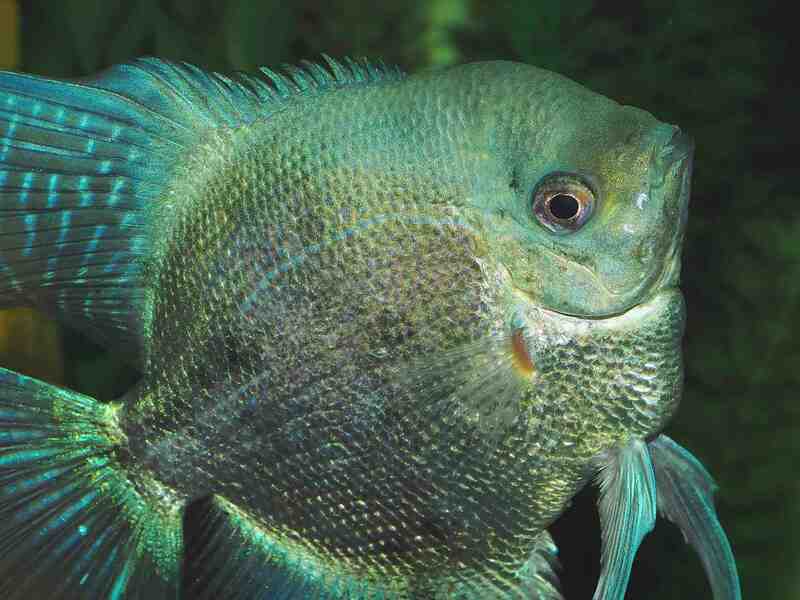 Your pet angelfish is beautiful Tom. My former dentist had a huge aquarium in the waiting room. I used to like to watch the angelfish gliding around so gracefully in the tank. It was very relaxing. He retired and took the tank home I guess as the new dentist had a stark waiting room, just magazines. So cool about your former dentist, Linda! Too bad that your current one just has mundane magazines! Nicely said and beautiful pet! The big ones are usually males. We keep ours in huge tanks and they are not aggressive. People who keep them in small tanks are the ones who see aggression happening. Great read, but a sad read. I love angel fish! 🐠 Such stunning creatures. Yes, i agree, Nicole. 🙂 Interesting how the U.S. government hated John Lennon passionately. The suicide of greed, the frustration of living with fools in power.